Homer: Marge! Where’s my ping pong paddle and top hat? Marge: Homie, the last time you tried to get gerbils to canoe in the bathtub, we all got lice. Marge: Bid? Bid on what? Homer: I don’t know, just as long as I outbid Ned Flanders. Now help me find those paddles. They say “Property of Ned Flanders” on them. Auctionieer: Welcome to Gavelby’s. 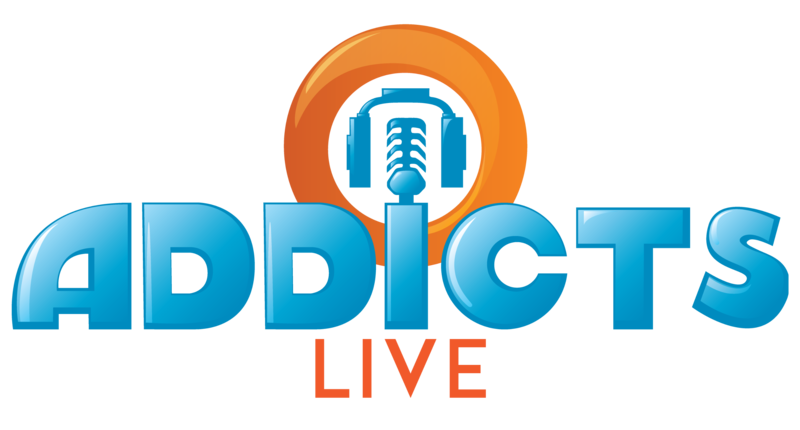 Where every accidental twitch can lose you millions of dollars. Our first item up for sale is this pair of vintage soundproof headphones. Do I hear twenty dollars? No, I hear nothing at all! Homer: Lisa, watch your daddy outbid all these other bidders. Lisa: Dad, you do know that if you win you have to pay for it, right? Homer: That’s not how auctions work, sweetie. You bid, then you go over the rapids, and then you pay for the photo. Lisa: I’m 85% sure you’re describing a flume ride. Auctionieer: Going once! Going twice! Going three times! Going four times! Oh, sorry, I forgot what I was doing. Sold! To the dapper young man in the front row. Bart: Thank you, my good man. Lisa: How are you going to pay for that? Bart: I’ve got Dad’s credit card. Homer: Hehe, that well-dressed small man’s father is going to be awful upset. Lisa: Bart, you should keep those antiques you bought in a locked room devoid of oxygen or light. That’s how items appreciate in value. Bart: But what’s the point of owning something if you don’t use it? CBG: I believe I can field this one. The point isn’t to use it, it’s to lord your ownership over your fellow man. That’s the enjoyment. Homer: Ugh, I probably shouldn’t have bid on and then eaten Marie Antoinette’s cake. But why would I have it if I can’t eat it too? Bart: Lisa really got me thinking about all the junk I’ve been holding onto. Milhouse: Oh my God, are you dropping me as a friend? Is it because I ask too many questions? Am I doing it again? Bart: No, I mean we can put some of my junk up for auction. And then use the money to buy cooler, newer junk online. Auctionieer: Today’s first item up for auction is a vintage Krusty Olympics video game. Famous for its aggressively pro-USSR stance, it was pulled from shelves after tainted copies spread both Red Scare and Scarlet Fever. Bart: I put that up for auction! I’ll miss the dreams about murdering capitalists, but the money will be worth it. CBG: It must be mine! One hundred dollars! Auctionieer: We have an online bidder. The new bid is one hundred and one dollars. CBG: Foiled by a computer yet again! This is Chessbot Amateur Setting all over! Bart: Whoever it is must be loaded! They bought everything! Vintage, tech, you name it. Bart: Aww, it’s never a rich juvenile delinquent. What are your thoughts on the In It to Win It questline? How far have you gotten with it? What do you think will happen in Sunday’s episode? Sound off in the comments below, you know we love hearing from you! This entry was posted in Episode Tie-In, Tips and Tricks, Updates and tagged Homer is where the art isnt, Homer is Where the Art isnt questline, In it to win it questline, Tapped Out Tips and Tricks, The Simpsons Season 29, The Simpsons Tapped Out, TSTO Addicts, TSTO Auction, TSTO Episode Tie-Ins, TSTO Tips and Tricks. Bookmark the permalink. I’m here to echo the frustrations with Sending All Springfielders tasks. They irk me (not as much as mystery boxes, but it’s really close). I resent how they interfere with my ability to play the game my way, particularly through the use of six and eight hour tasks at times of the day/week I can clear hourly. The Unemployment Office was a great innovation and it seems really weird that EA prevents us from using it in this way. Could not disagree more with those tappers who seem to hate the “All Springfield’s” tasks. I have a weird love of sending every character to the same building then seeing the big line of thumbs ups when it’s time to collect and how long it takes for all the income to stream in. I also love this! But I agree it should be a ‘send all’ type task, instead of having to tap each person individually. I am able to do this on a daily basis via the Ajax Steel Mill and the incomplete Roscoe quest line. 190 characters in one location, every four hours, all paying premium. Does it bring some free Donuts? 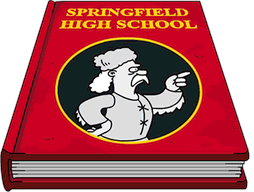 Is there any talk about modifying how the “Springfielders” tasks are operated? I dread seeing these in quest lines as it’s a major interference with sending 250+ characters on jobs. They seriously need to rethink how these tasks work, at least making the job manager usable. Not to be too weird, but…. with the passing of the great Steven Hawking. I was wondering what do you have your Steven Hawking doing in your Springfield (assuming you have him)? Random question. My TO just had a major update and when I got back in everything is zoomed in and I can’t back out at all. Even the icons are extra large. Did this happen to anyone else and is there a way to fix this? I have a galaxy s8 for the record. Talking to myself now. I uninstalled than reinstalled the game and it’s fixed now. I’m sure some people like the variety but they didn’t give us a break between the last major event and the duff puff event, and then they start this new one which requires the same character(s) – Homer anyway – half way through the Duff Puff. Events are long, do almost the same thing with the same characters every time and now stacked and overlapped. wth EA?!? I’ve had this weird occurrence where In get the second part of storyline dialogue after the character starts the task, not when they finish it. I got part 2 of this dialogue in the middle of Philip Duff’s. Really threw me for a loop. I am sick to death of all these “Springfielders” tasks. It’s a real pain when you have 300 playable characters. I agree. They should either make so that it drops off task lists once the minimum number of characters is assigned or quite doing it. Agreed. 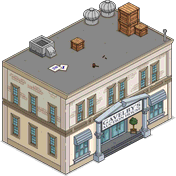 For the first part of this (known in advance) questline, I’ve sent Homer and five Springfielders on 1h tasks before finishing the build of the auction house and sent all others on 8h jobs. However, now for the latter parts this won’t work, so I’m going to keep all idle which are not covered by sending as many as possible on jobs from the Unemployment Center. I’ll rather not earn for ~12hrs than send all of them to these jobs (and likely have to reassign many characters to premium skins afterwards). I agree too, as I’m managing the same number of characters. This type of task completely negates the functionality of the Office of Unemployment, which was added to aid us. Also, they doubled the donut cost to speed up these tasks. 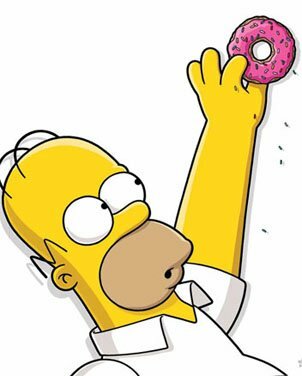 Typically it is only 2 donuts to speed up a four hour task, something I’m willing to spend to clear these “Send Springfielders” type tasks. However, when the cost doubles and the number of characters being sent for the task (like in part 4 of this quest), my Scottish blood kicks in! Yeah. I came here specifically to see if others have mentioned this. Glad I’m not the only one who feels this way. They really need to clean this part up. They could stop the tasks once the number of characters are hit, make the task only available through the quest icon (so unemployment ignores them), make unemployment ignore quests, or stop doing them. The fact that characters lose their skins if you send them and there is no good way to reset them all to the ones you like makes it even worse. I am very disappointed on how small the new brick buildings are. At 150 donuts. Cmon in reality that is like 10 dollars. They are so puny looking, all I can do is put them in storage. They are slacking so much on the scaling issue. I can’t figure out how to post a pic here, but I’ll post one on the Facebook page. Some buildings are giant( like the condos) and some are tiny (like the geriatric center) the new brick buildings really pissed me off because you couldn’t see the size first. (Normally you can test it before buying) but these huge 4 story buildings are the same size as the Simpsons house. I was hopping that an auction house building will come and let us sell all the trash in inventory. agreed. i need to get rid of a lot of stuff clogging up the storage and some land units. maybe a way we can alchemize items for better things. …. just please do something, the hoarding is out of control. bbrassmonkey that was very cool. Thanks for sharing! That car on a statue is weird. Lol. Nothing is as weird as the game itself Being weird myself I still love the game, even after almost 5 1/2 years. Yes, I guess I should have implied werid isn’t always negative to me. I’m gonna keep it out but don’t know where the heck to put it. Mine lines up in my Wild West. Amusing!